The opportunities to help improve the lives of other people are endless. 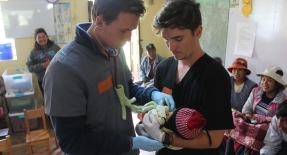 Our main focus is to bring medical care, dental care and medicine to the countries we serve. Become a Team Development Coordinator for us in China. Cambodia offers volunteers the opportunity to experience Siem Reap, Angkor Wat and the friendliness of the Khmer people. Join VAW in the Dominican Republic this year! VAW has been operating in Guatemala since 2006. Our site in Guatemala is located in San Pedro la Laguna, along the shores of the beautiful Lake Atitlan. More than a canal, Panama is a country that you’ll never forget! 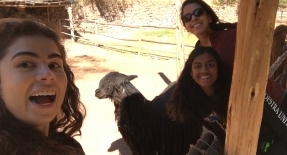 Curious about Peru? Be part of a medical or dental outreach clinic in 2018! This experience will stay with you for a lifetime! VAW began as a small group of individuals with big dreams, and I am so proud to have had the opportunity to contribute towards making those dreams a reality. Volunteers Around the World (VAW) is a humanitarian organization and social enterprise devoted to improving the standard of living for those that live in some of the most poverty stricken communities of the world. Our focus is to provide communities with access to medical, dental and veterinary treatment, medication, nutritional security, clean water and health education. We adhere to AAMC and ADEA guidelines for all of our student trips. This internship is designed to give you an experience as close to being a practicing physician as is possible before going to medical school. Shadow dental professionals and assist them in procedures such as extractions, cleanings, fillings, radiography, and sealants. 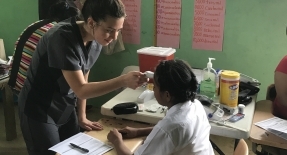 Assist local veterinarians with performing physical exams, giving vaccines, performing surgeries, deworming animals and assessing general health and well-being. Water & Sustainability are paramount to thriving communities. Work with local engineers to install clean water filtration systems, dig wells, latrine construction, and family farm development. Take advantage of the opportunity to travel and be inspired! Work with a professional creative to learn, teach classes, and beautify communities with the gift of your art. Our regular group trips occasionally have additional space for extra team members. 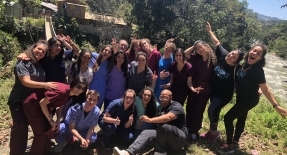 These volunteers join an existing university-based team and enjoy the same experience.